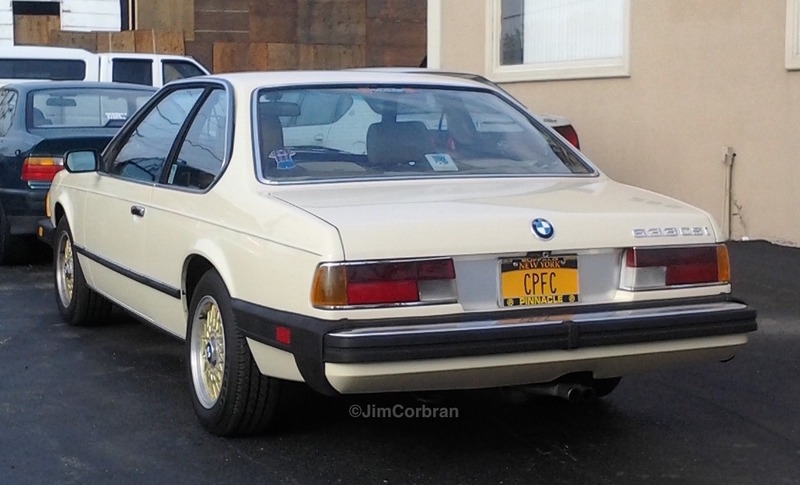 I think that the 1980 BMW 633 CSi is not only one of the best-looking cars to ever come out of Bavaria, but it just may be one of the best-looking large coupes, period! Very well-proportioned without a lot of unnecessary clutter, and just the right size for a long, comfortable drive with your luggage stowed safely out of sight. I saw this one while bicycling through a North Buffalo neighborhood last summer. I hope I didn’t leave behind any drool.